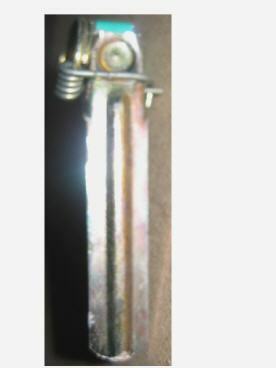 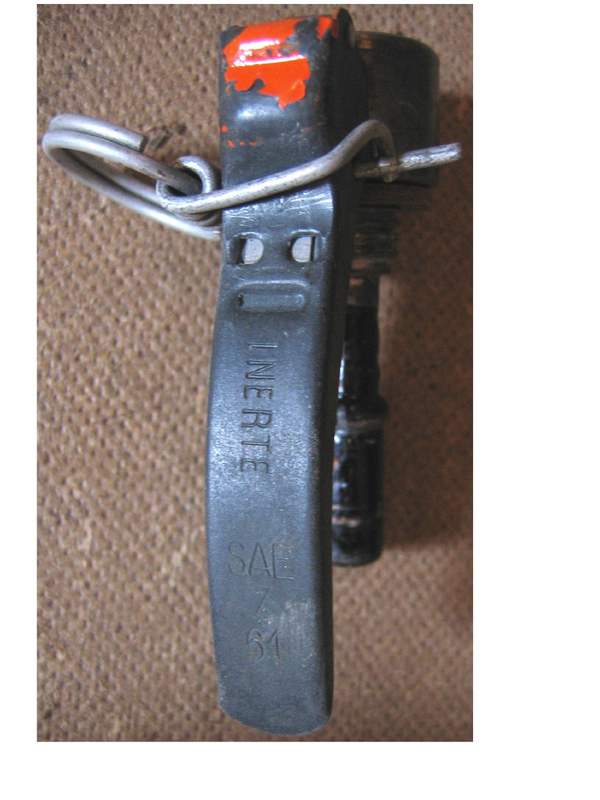 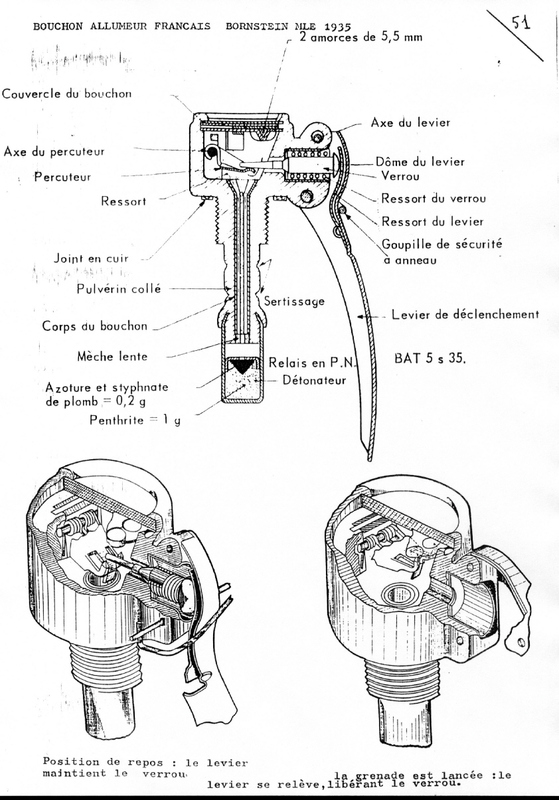 The Bouchon Allumeur Bornstein Mle1935 was used on several types of grenades. 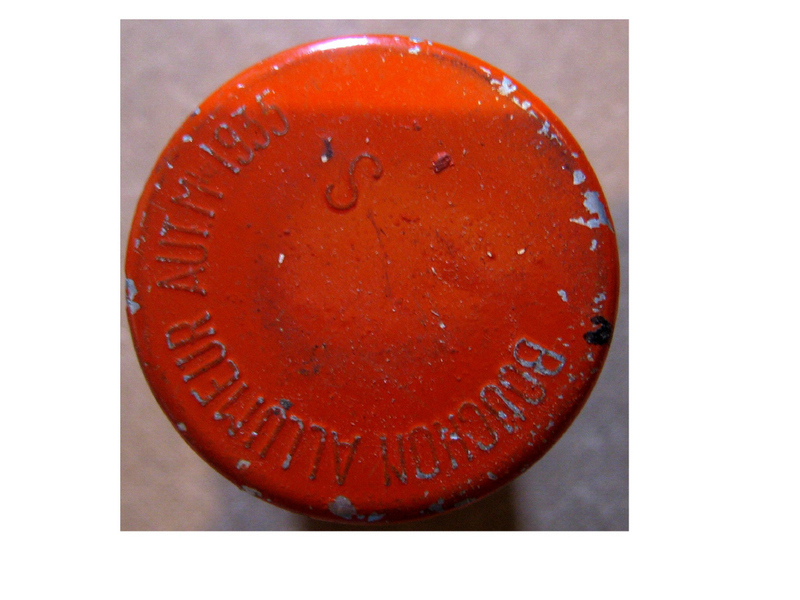 It was first used in 1935 and served up to the 1970's. 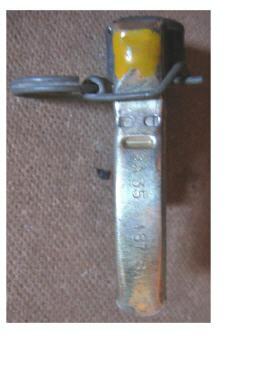 Also used on Dutch grenades. 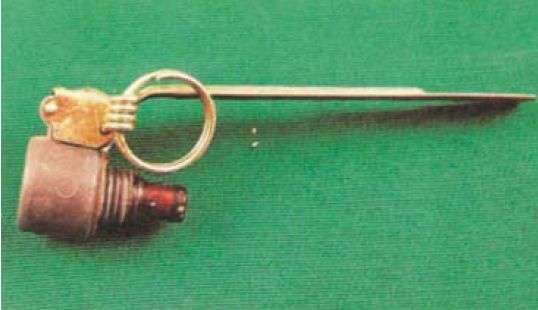 It existed in several spoon lengths and time delays, made of metal or plastic. 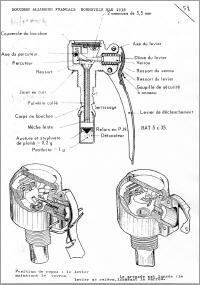 Scan on the right thanks to Gilles. 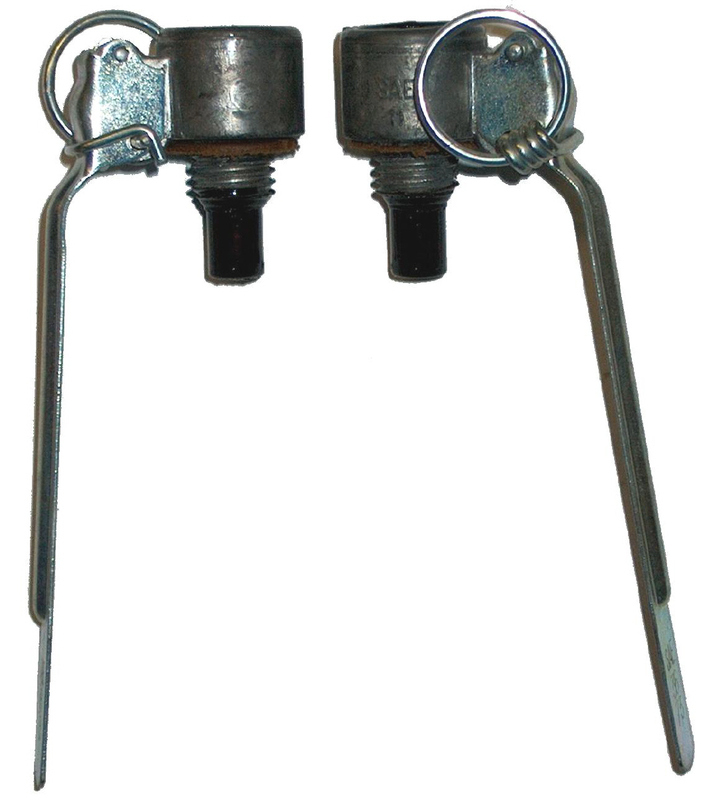 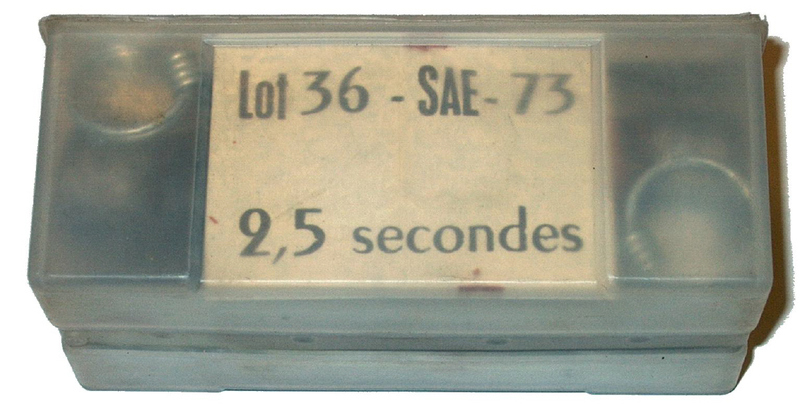 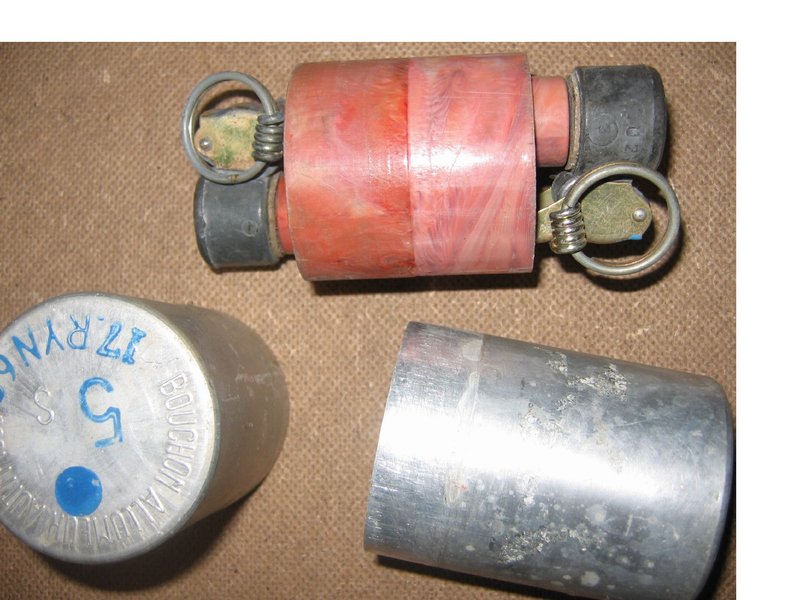 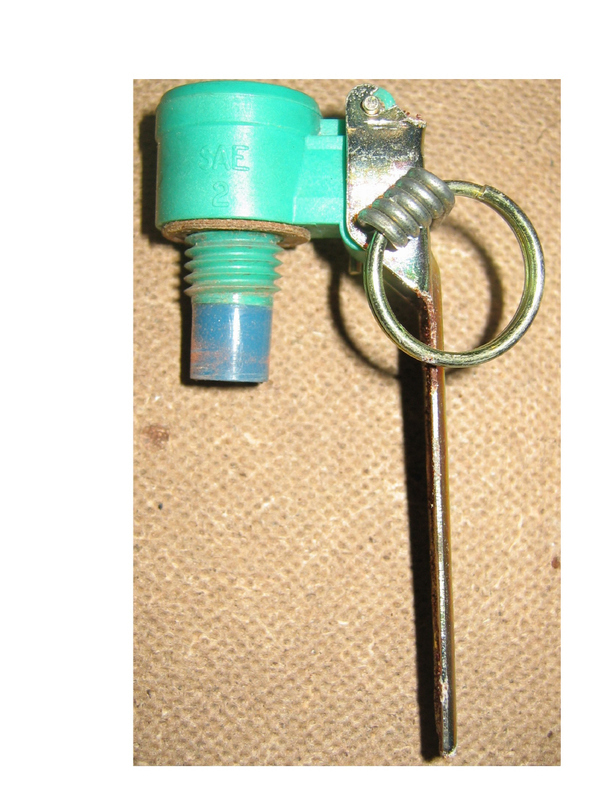 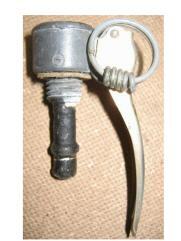 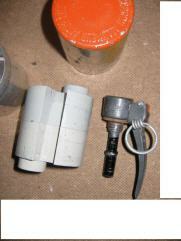 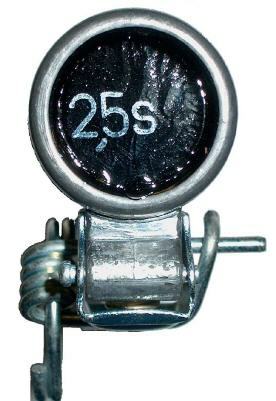 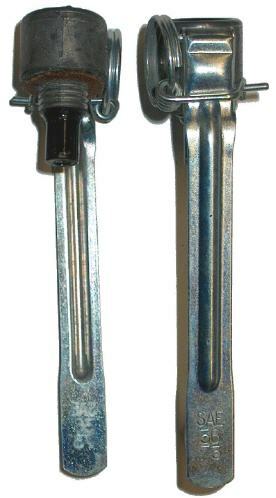 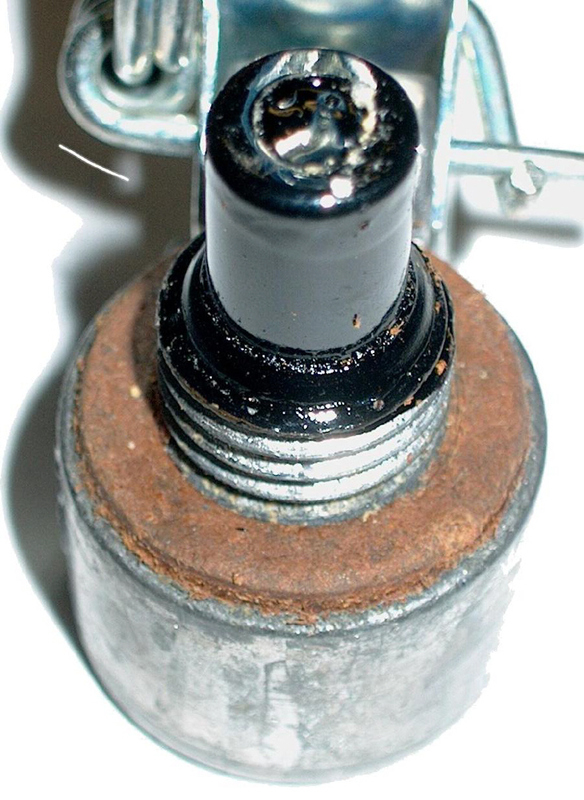 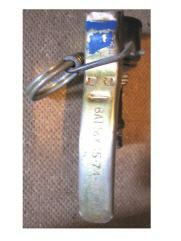 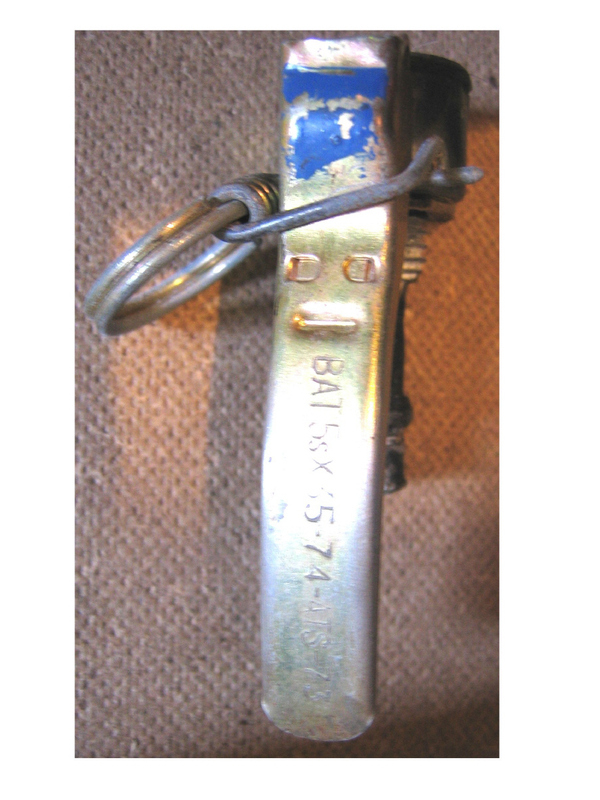 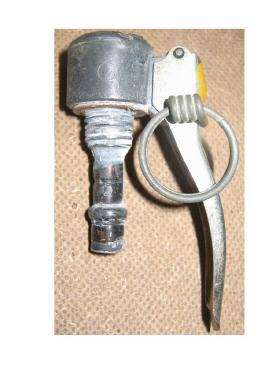 Shown on the right, also a 2second BA35 fuze. All the photos below © W. Schumann. 2.5seconds fuze, 4pieces packed in a plastic container.